Location: The volcano is located in the south-western sector of the Klyuchevskaya group of the volcanoes 63 km from Klyuchi and 343 km from Petropavlovsk-Kamchatsky. Ostry Tolbachik and Plosky Tolbachik volcanoes compose a single large volcanic massif. 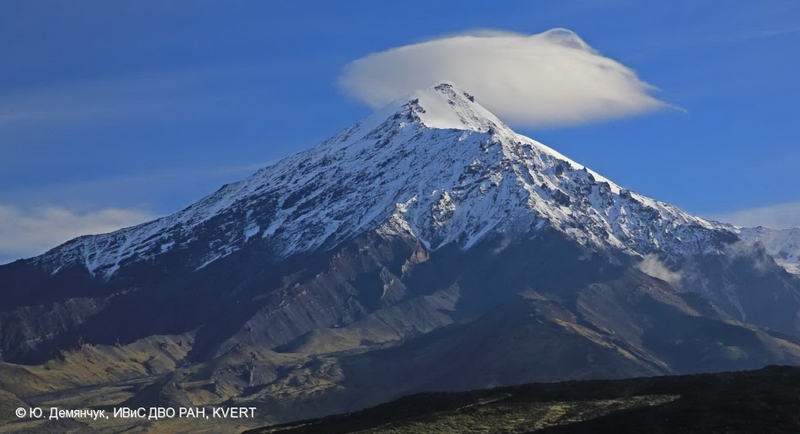 Ostry Tolbachik is a typical stratovolcano. The south-eastern part of volcanic summit destroyed probably as a result of collapses. Barrancoses deeply embedded in the volcano body, in their boards can see a structure of the volcano. Numerous dikes, mainly radial, ending in some places the ruins of the former cinder cones, to cut stratums of lava lithoidal, pyroclastic material (cinder, breccias, tuffs) and sometimes pebble-boulders material. Пийп Б.И. Ключевская сопка и её извержения в 1944-1945 гг. и в прошлом // Труды Лаборатории вулканологии АН СССР. 1956. № 11. С. 3-303.